On behalf of the viewers, collaborators, and contributors of the Spuscizna Group, it's co-editors sincerely hope that you enjoy a joyous Easter. He is risen. Alleluja! Lent, Passion Week, and Easter are essentially reflective and spiritual times. 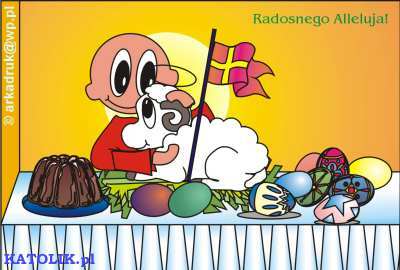 So, we spared a lot of wordy explanations about the Polish customs and traditions which surround them. Our intent here is quite simply to uplift your spirit, appeal to your emotions, and remind you of your heritage.